We are an organization of high school students who make positive change towards greater equity and diversity. SEED students recognize that the strength and richness of our community is in its diversity. Our systemic efforts aim to build a society free of hatred, bigotry, and racism. We believe that equity and equality are not interchangeable terms. Educational equity goes beyond formal equality; we must foster a barrier-free environment where all students have the opportunity to benefit equally. Our vision is that every student in our school district will be provided with equitable access to high quality and culturally relevant instruction, curriculum, support, facilities, and other educational resources. We envision multiple pathways to success in order to meet the needs of each student. Furthermore, we believe all staff and students should be provided with the opportunity and education needed to understand identity. ​Our mission is to build the capacity for a more equitable campus, curriculum, and community so that all students reach their full potential. We believe that equity must be measured by access and outcomes, and we recognize that not all students are achieving at their full potential. SEED students are committed to the success and well-being of all their peers. 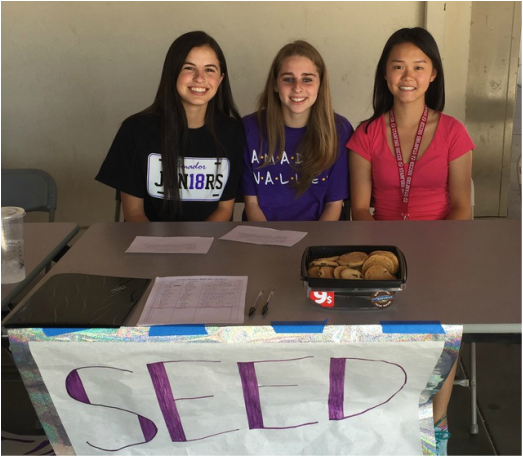 SEED students reach out to their peers to make their school and community more inclusive. All students are welcome to join. SEED students are dedicated to making positive change in their school, in their community, and in their own lives. We encourage you to join us on our mission to create a more equitable curriculum, campus, and community that embraces diversity.